Spend time with the sensation bombshells of DC Comics! 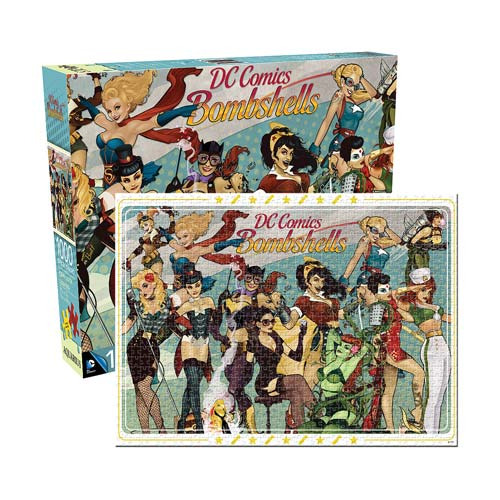 From Harley Quinn and Black Canary to Wonder Woman and Poison Ivy, the whole team is included in this 27-inch tall x 20-inch wide 1,000 piece puzzle! Ages 14 and up.